I just wanted to take a second to apologise that an entire month has almost passed without me sharing a single makeup look or product review with you all. Work has been fairly hectic in the build-up to Christmas and well, I just found myself in a bit of a ‘funk’ forcing content which wasn’t achieving the readership I had hoped for, so I focused on Instagram for a while. The good news is, I’m BACK and have so many product reviews to share… including a little review of the Urban Decay Troublemaker Mascara. COULD THIS BE A LASH GAME-CHANGER? When the PR team first sent me this mascara (before it launched, so I’m a little behind), I was instantly impressed with the componentry itself. The tube felt thick and sturdy, yet lightweight (plus, was super colourful and eye-catching), while the brush inside was also thick enough to provide a really great application. In all honesty, I’ve been searching for the perfect mascara for a good few years now, testing everything from drugstore Maybelline to high-end Lancôme, but nothing had managed to maintain permanent residence in my everyday makeup bag. 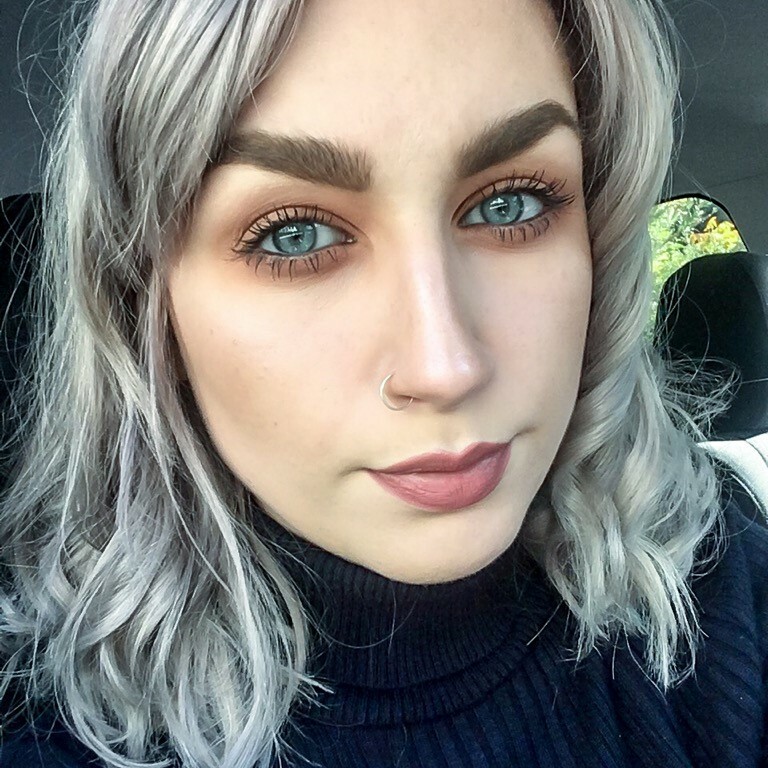 Available for less than £17 here in the UK, this mascara has 100% changed my lash game. I FINALLY feel confident to leave the house without a full set of false lashes on, in the knowledge that my natural lashes still look thick and full – a task I thought was unachievable due to the ‘stumpiness’ of my real lashes. The fluid is extremely dark (this isn’t a ‘black’ which will appear grey on camera) and extremely long-wearing; while I haven’t put it through the cry test yet, I can assure you that it hasn’t shifted during the days I’ve worn it… staying true to it’s waterproof claims. The brush is also a strong selling-point for me – it’s really easy to coat the lashes without forming any ‘clumsiness’… because there is nothing worse than a wand which gains a tonne of built-up product at the tip! Overall, this is a great, affordable product which I would highly-recommend. Like what you read today? Have any questions? Please leave them in the comment space below! Love the packaging, so gorgeous!!! !